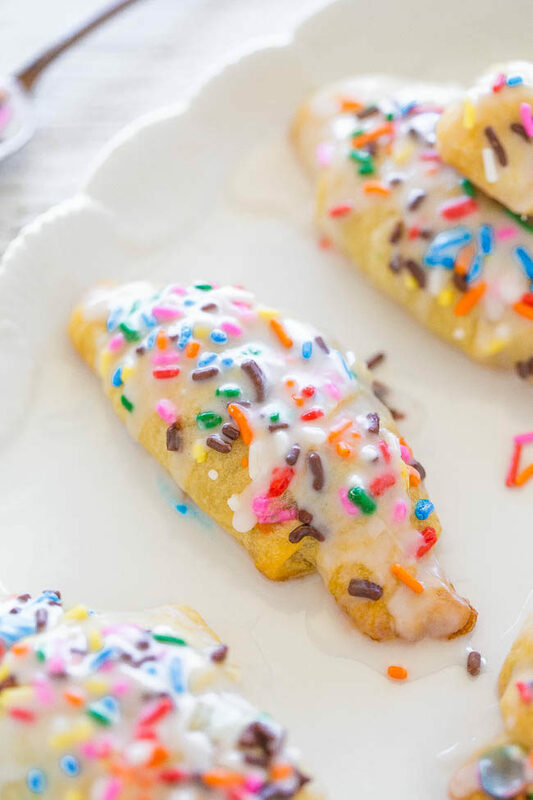 These are my idea of crescent rolls. 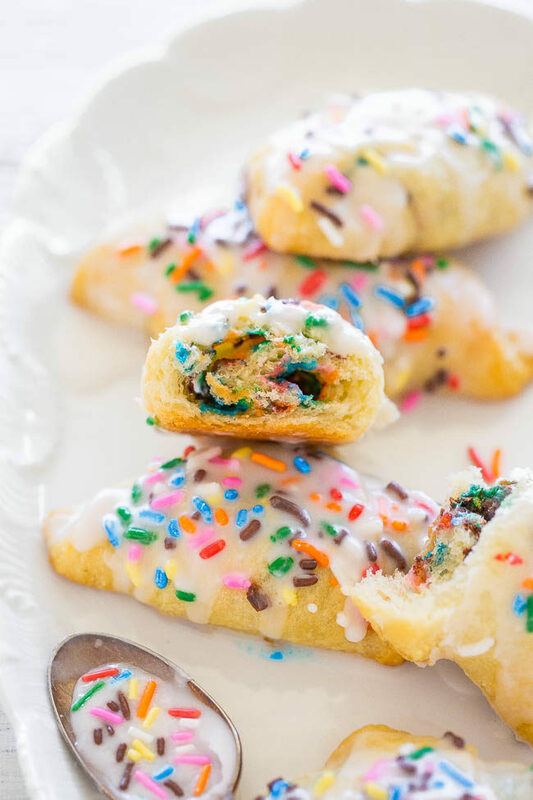 Everything is better when there are sprinkles and involved. 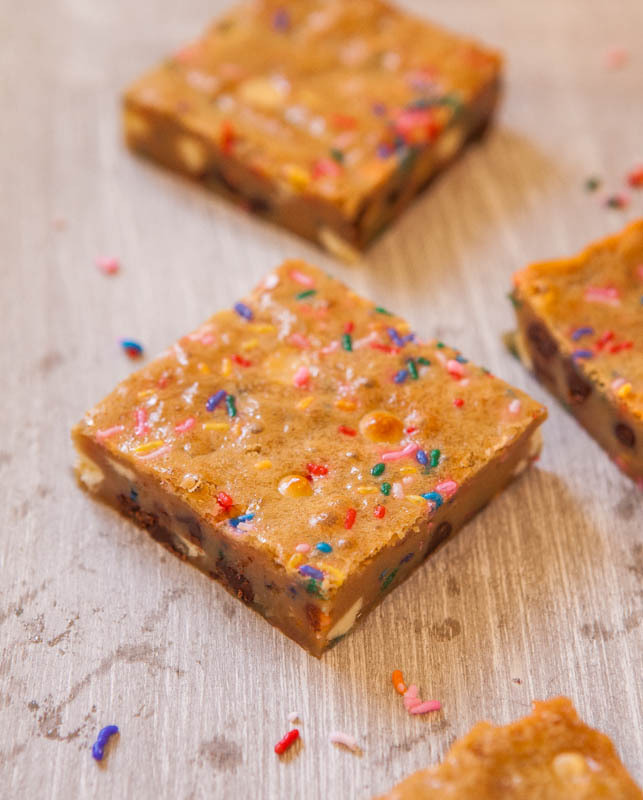 They’re so easy, ready in 15 minutes, and make for a great impromptu treat. 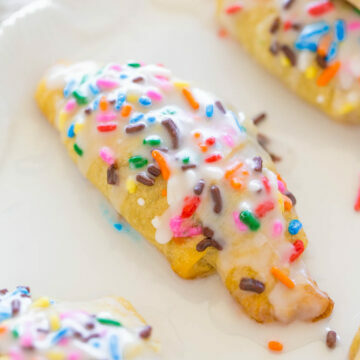 I used a tube of refrigerated crescent rolls, added 1 teaspoon of sprinkles to each of the 8 triangles, rolled them up, topped with more sprinkles, and baked. There’s almond extract in the glaze which lends an added depth of flavor. I love almond extract and think it’s great here but you can sub with vanilla extract if you prefer. 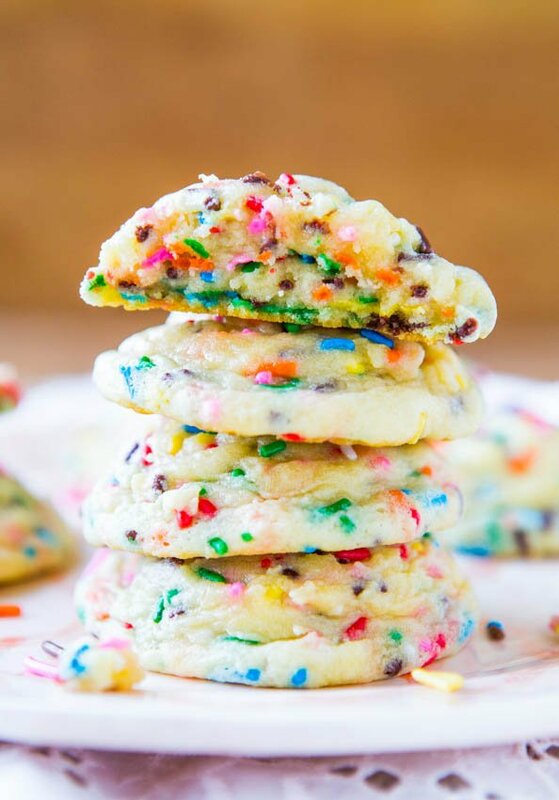 The dough is buttery, flaky, and every bite is loaded with sprinkles. My daughter’s eyes really lit up when she saw these. If you have a sweet tooth that strikes, or your kids want to ‘help’ you in the kitchen, this is a perfect easy recipe the whole family will love. These are my idea of crescent rolls. 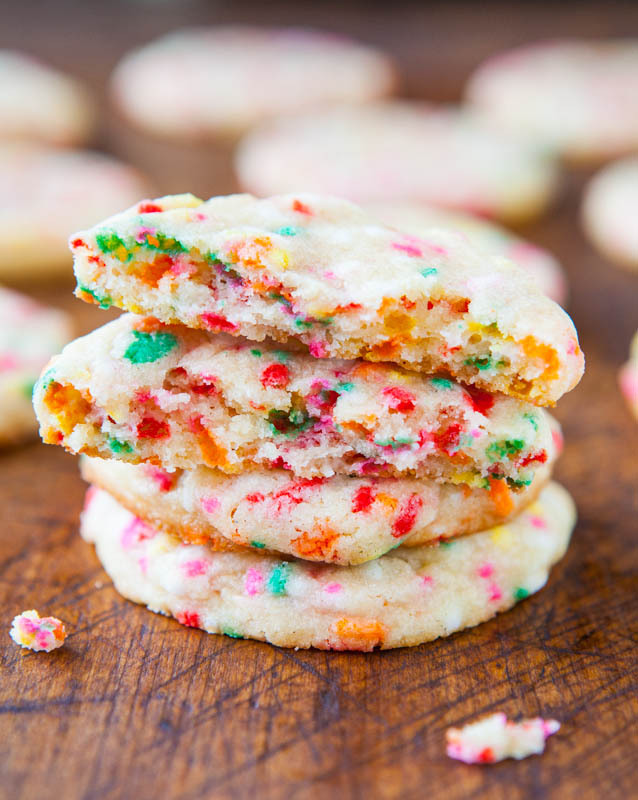 Everything is better when there are sprinkles involved. 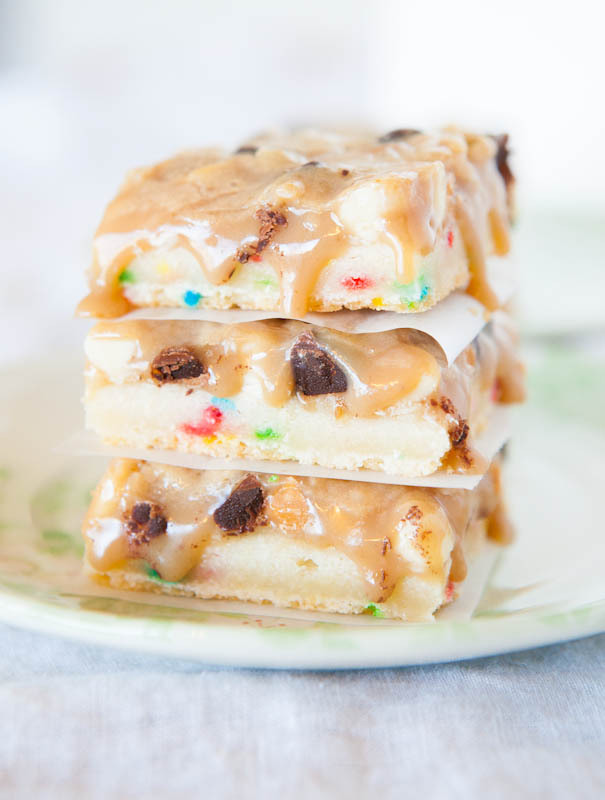 They’re so easy, ready in 15 minutes, and make for a great impromptu treat. There’s almond extract in the glaze which lends an added depth of flavor. 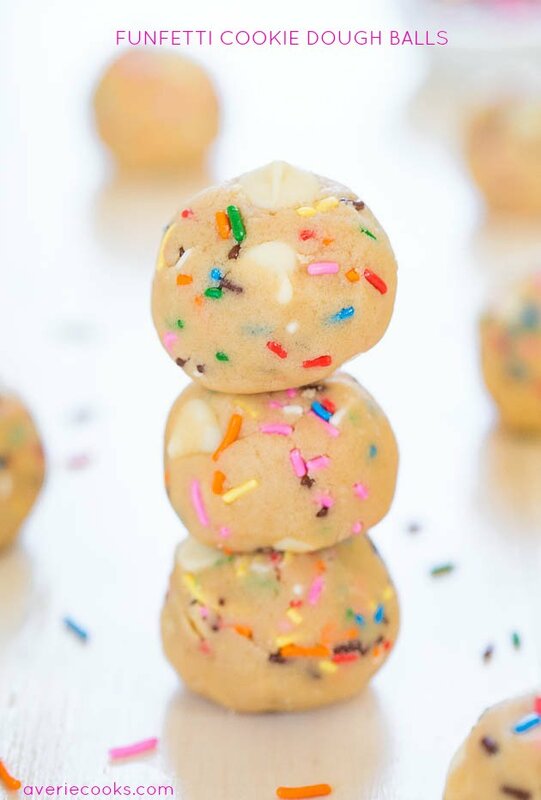 The dough is buttery, flaky, and every bite is loaded with sprinkles. If you have a sweet tooth that strikes, or your kids want to ‘help’ you in the kitchen, this is a perfect easy recipe the whole family will love. Unroll each of the crescent rolls so they’re flat triangles. Place on a clean countertop or large cutting board. Evenly sprinkle each of the triangles with 1 teaspoon sprinkles. Starting at the base of each triangle, roll up, and place on baking sheet spaced about 2 inches apart. Evenly sprinkle each of the rolls with 1/2 teaspoon sprinkles. Bake for about 11 to 13 minutes, or according to package directions, or until rolls are cooked through; don’t overcbake because they firm up as they cool. Allow rolls to cool on baking sheet while you make the glaze. To a medium bowl, add the confectioners’ sugar, almond extract (I used 1 teaspoon, reduce if you’re sensitive to the flavor), milk, and whisk to combine. You may need to add slightly more sugar or milk, depending on desired glaze consistency. Evenly and liberally top each roll with glaze. If you have extra glaze, it will keep airtight in the fridge for at least 1 week. Rolls are best warm and fresh but will keep airtight at room temp for up to 3 days. Reheat for about 10 to 15 seconds in the microwave if desired. 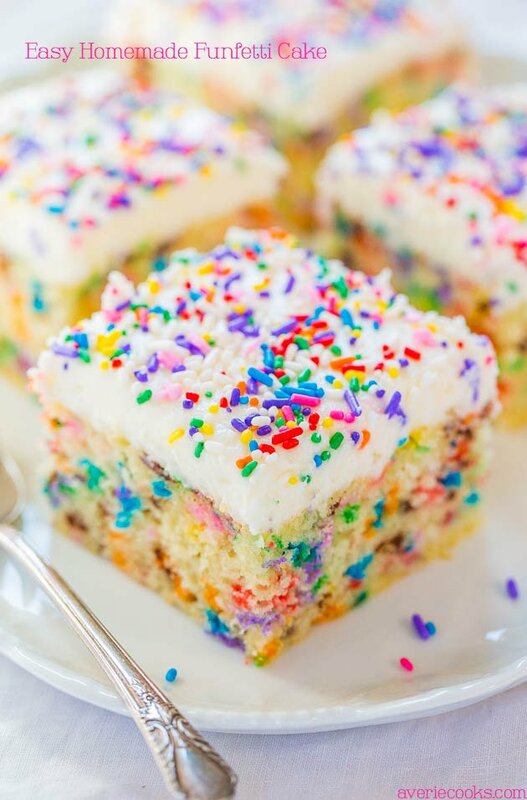 Easy Homemade Funfetti Cake with Vanilla Buttercream – Move over storebought cake mix!! This easy cake only takes minutes to make and tastes wayyyy better! Oh my goodness. This is a thing? This can be done? YES. Sign me up! I want the whole batch for breakfast right now instead of the protein bar I’m staring down. Awesomeness! This is my idea of jazzed up tube dough! I love the versatility of it and I definitely have a soft spot for anything sweet and fun. I bet this would be great to make with the kids! 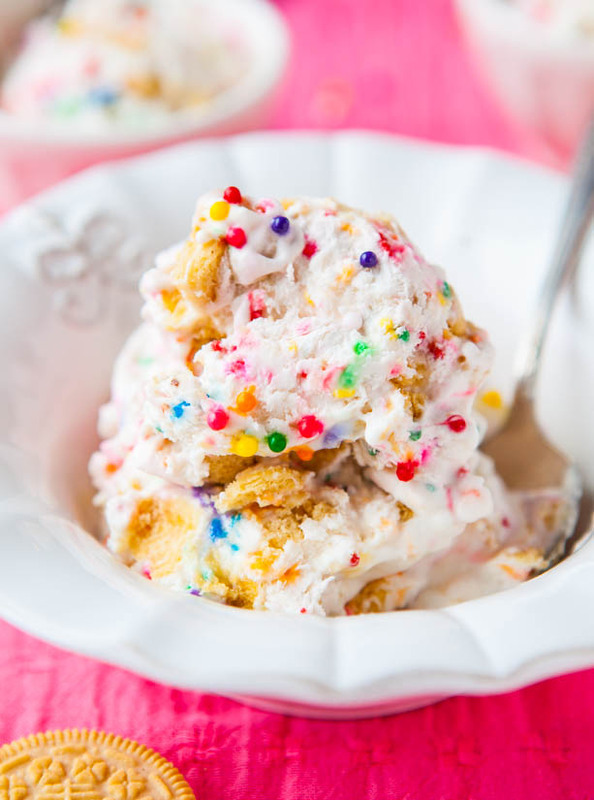 Everybody loves sprinkles :) Delicious and easy = perfect! How easy are these? I want to bathe in sprinkles, so anytime I can add them to any meal I’m happy. Jordan would love to make these herself! hey girl I love sprinkles to! These look amazing! Oh, these look amazing. High five for lots of sprinkles! pinning! These are really fun! Kids would love these! What a nice and lovely idea! Colorful design. I make me feel happy, just by the look. Bet kids will love this. Thanks for sharing and enjoy this nice weekend, Averie.